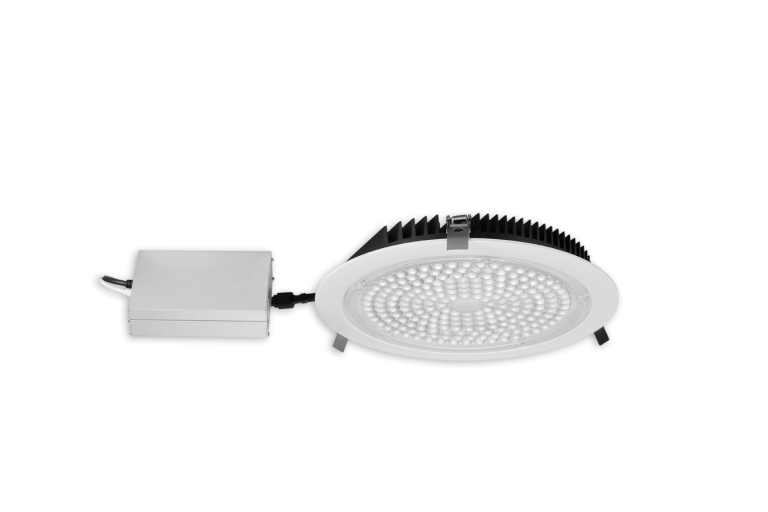 Round 10″ fixtures with integral LEDs. Isolated external driver factory installed inside connection box. One driver for every fixture required. Space in ceiling needed 2 1/4″.